If there’s one thing that this Open Science Stars series has shown us, it is that there is a great diversity of perspectives and experiences in the world of scholarly publishing and communications. 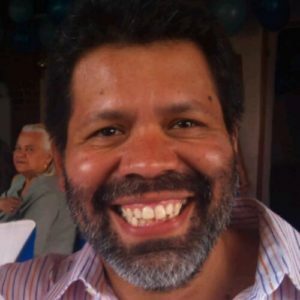 This week, we have the absolute please of giving you all an interview with Prof. Jacinto Dávila, a researcher based in Venezuela. Here’s his open story. Hi Jacinto! Thanks for joining us here. Could you start off by letting us know a little bit about your background? Hello Jon. I am a computational logician. That is probably a label, invented at Imperial College (Ed: yay!). So, I would add that I am System Engineer and also got a PhD in Logic from Imperial. But almost all my professional life has been spent teaching and doing research at Universidad de Los Andes, in Venezuela. Thus, I will call myself a computer scientist in the third world. When did you first hear about open access and open science? What were your initial thoughts? We had news of the rising movement back in 2005, thanks to Jean-Claude Guedón. I used to be at the computing academic board of my University and we got serious about it in 2006, submitting a proposal for our rector to sign the Berlin Declaration, which he did on October, 2006. By then, we already had a fully operational repository, which have been up and running since 1995. We saw the open access initiative as a fantastic opportunity to level the game because we have historically suffered to have access to international results, which is always an expensive deal. We also thought, naively in retrospect¸that just by going open we would have a fair chance of publishing our own work too. We need to change the defaults views on sharing knowledge, at least for public works. As a Professor, how do you help your students to engage more with open research practices? I openly (sometimes noisily) encourage them to use and write open access. I suppose that my grey hair helps me to enforce it when it comes to a joint work. But I can’t force them to open their own work and I have certainly noticed fear and doubts. Some see it as unsustainable and, definitely, less prestigious or valuable. How important is public knowledge, and building a good infrastructure for it, to you? It is essential. In the third world we are dispersed, fragmented and underfunded. We rely heavily on public knowledge to feed our teaching and innovation practices. And, of course, as most of our universities are public, we have a moral and even a labour obligation to give our results back to the public. We can’t do that without good infrastructure and, I believe, this could even explain why we are so bad at it. We rely heavily on public knowledge to feed our teaching and innovation practices. Does Venezuela have a national open access policy? How does it work at the Universidad de Los Andes where you’re based? This is a painful question. No, it does not have one yet. But, we have done our best to pursue one. A big victory in that direction is the current info-government law (Ley de Infogobierno) which establishes a firm policy in favour of free and open source technology in the public sector. This law even includes a definition for open access (I had something to do with it), but it does not go any further. We did launch a grass-root campaign to produce an Open Access national law and we got to the point of having the project approved in a first discussion at the national assembly. But that was before the parliament was renovated by a new election and the majority in the new assembly is openly hostile to the idea. I reported the efforts here (in Spanish). We failed, but the experience is extraordinary. What role do the ‘big five’ publishers have in Venezuelan research, in your experience? Well, they basically control prestige and still preserve a high level of control over promotion. Our universities clearly favour publications on their journals when it comes to acknowledge any effort. It is clear to me (now) that by this device they also control the research agenda in the country because my colleagues tend to align their work which whatever is publishable in those journals. Venezuela is part of the SciELO publishing network. Do you find this is an efficient and useful way to publish research? It is fantastic and very useful, but not very efficient because “the big-five” are still perceived as the best way to output our research. What impact does the SciELO platform have on research assessment, if any? It is still marginal. The government and some universities have tried to encourage these alternative means of publications but, again, they are perceived as of less quality or impact than those big-five’s. We don’t have a clear public mandate and this, essentially, means that every researcher chooses what she or he wants (or can) as a way to publish, even when they are fully funded by established public institutions, which should know better. How much do you think places like Europe and North America could learn about publishing practices from Latin America? Why do you think we haven’t built a SciELO-like platform just yet? If the purpose of the great conversation of Science is to engage everyone for the benefits of all (as they taught in the old Europe), perhaps Europe and North America could learn, by looking at us, that the market-oriented strategy does not work. But this honest review is impossible, as long as the current practices keep benefiting the North by letting them set the research agenda for the whole world. What do you think this says about different attitudes to things like public knowledge and copyright around the world? Different attitudes have no chance. We have a system of conveniences that is threatening to eradicate any notion of public knowledge as a public good. Current globalized copyright laws are very good at it. We need to change the defaults views on sharing knowledge, at least for public works. We have a system of conveniences that is threatening to eradicate any notion of public knowledge as a public good. SciELO content was recently integrated into ScienceOpen. Is this a useful move do you think for Latin American research, and more broadly global research? It is a very important movement. ScienceOpen keeps winning favour and support especially among the newer generations of researchers. This could help to change those perceptions on quality I mentioned before and will certainly help them to trust open access as a way to publish and share their results with themselves. Where do you see the future of scholarly communication? What steps are needed to get there? I am happy thinking that scholarly communication is evolving towards what we call modelling which, in turn, resembles the practices of coding in computing. The Internet is already a huge repository of knowledge in textual form but, if that trend stays, it will evolve into a fantastic space for active knowledge with machine assuming a more dynamic role in the production, diffusion and processing of information and knowledge itself. And I am glad this is so because the free, libre, open-source software community has already shown that by openly sharing that kind of knowledge, we get much better knowledge. Whose responsibility do you think it is to lead this change? We all, researchers and professionals, are responsible. Unfortunately, not many are aware. So, the minority has a more complex responsibility. If you could give one piece of advice to students looking to pursue a research career, what would it be? Try open access, compare and analyze the consequences. We believe it is the best solution. But a good scientist can establish this kind of conclusions, after a fair trial, by herself or himself. http://webdelprofesor.ula.ve/ingenieria/jacinto/politica/manual-ley-infogobierno-venezuela.html (Spanish) info-government law of the Bolivarian Republic of Venezuela.